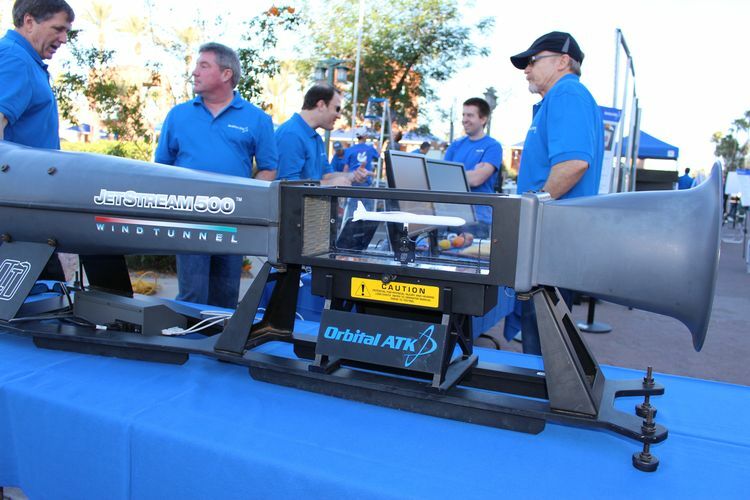 More than 1,000 children saw their passion for learning ignite during the Chandler Science Spectacular thanks to the support of 50 volunteers and 18 exhibits from Orbital ATK. 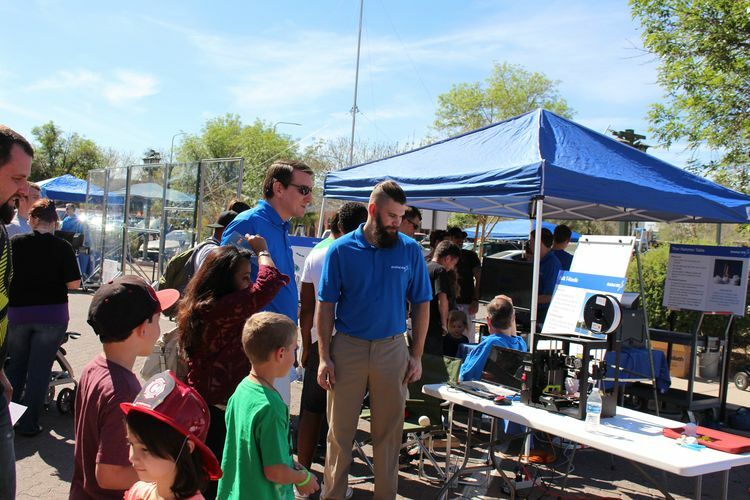 The Science, Math, Engineering and Technology (STEM) event was hosted by the City of Chandler and held in the city square on February 20th. 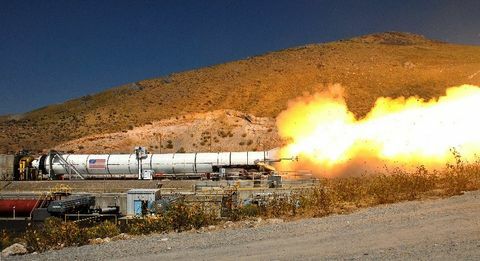 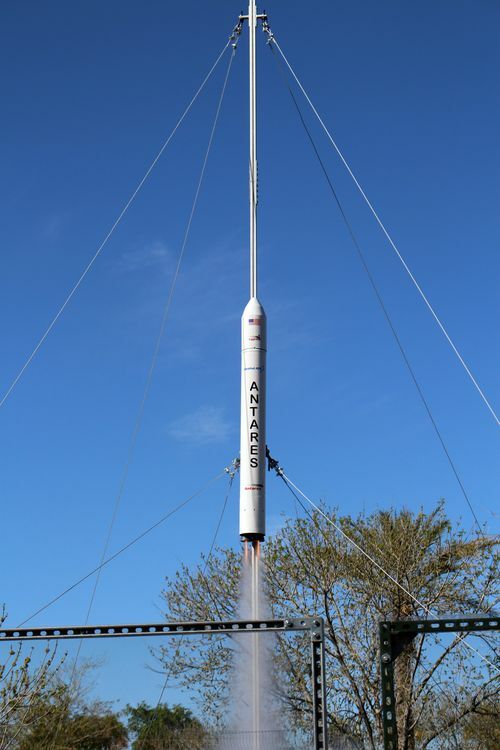 The Orbital ATK exhibit included 18 hands-on science experiments all focused on launching rockets with a culmination of a launch of a 1/25th scale model Antares every 30-minutes. 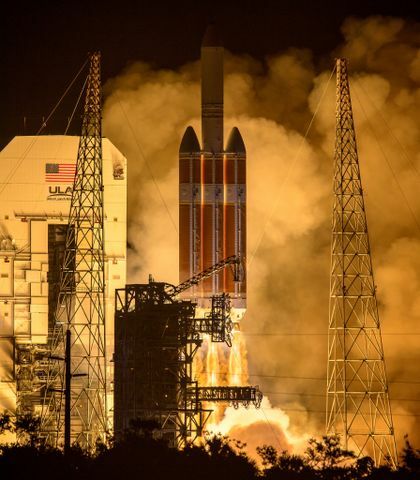 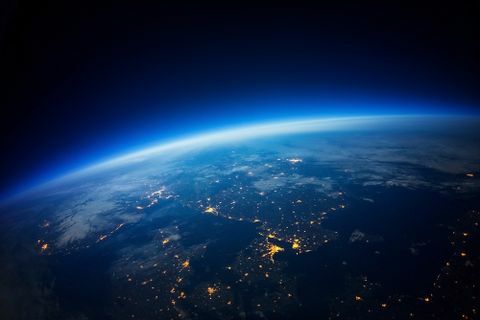 The launches included fairing separation and a payload (balloon) deployment into the atmosphere. 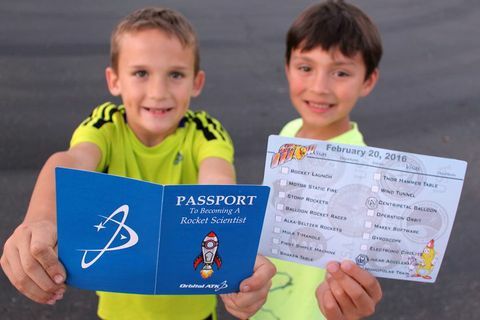 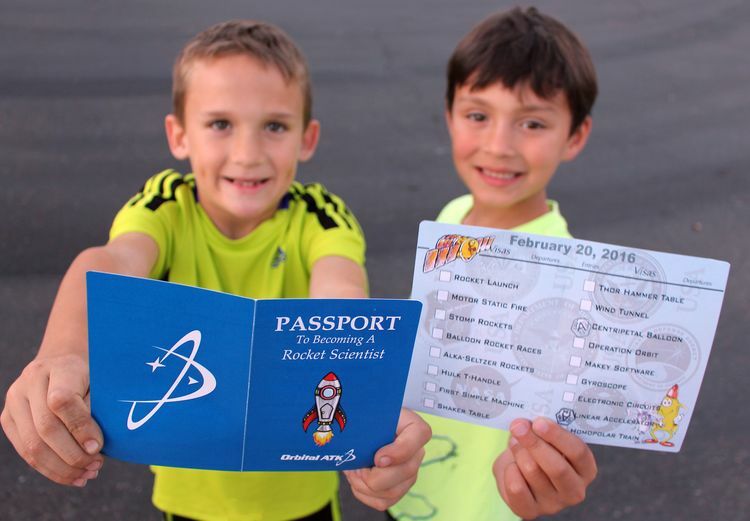 As part of the exhibit, Children picked up an Orbital ATK “Passport to Becoming a Rocket Scientist” and received a stamp for each station they visited and successfully completed an experiment. 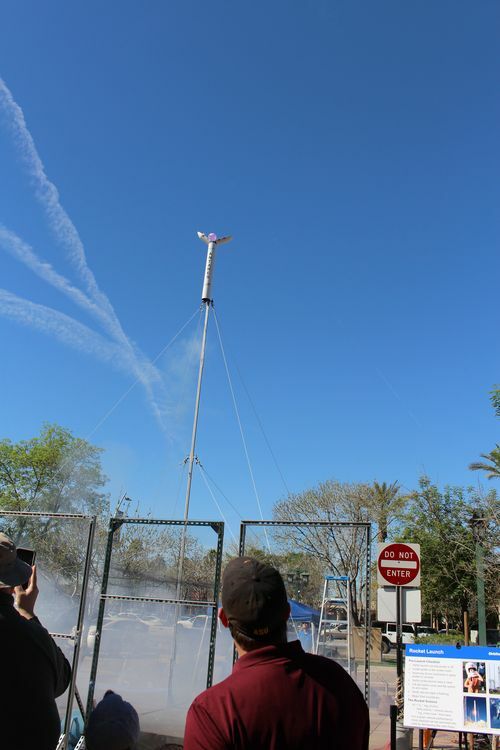 Along with the children, there were more than 3,000 people who came through Chandlers Science Spectacular on Saturday. 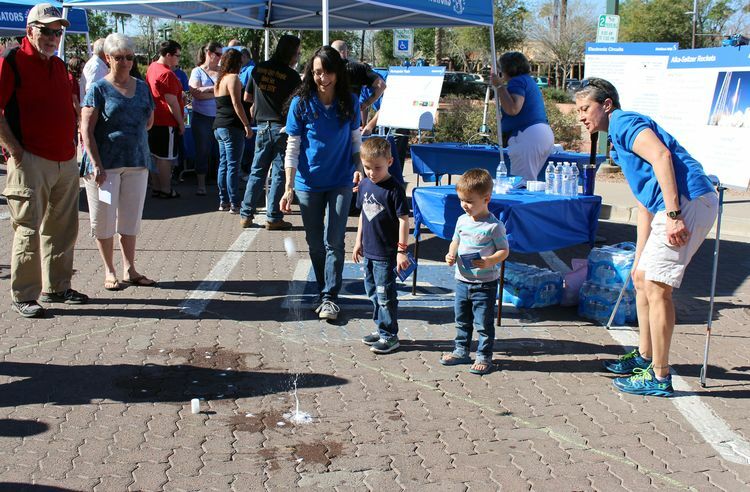 Many of the adults were just as interested in the experiments as their children. 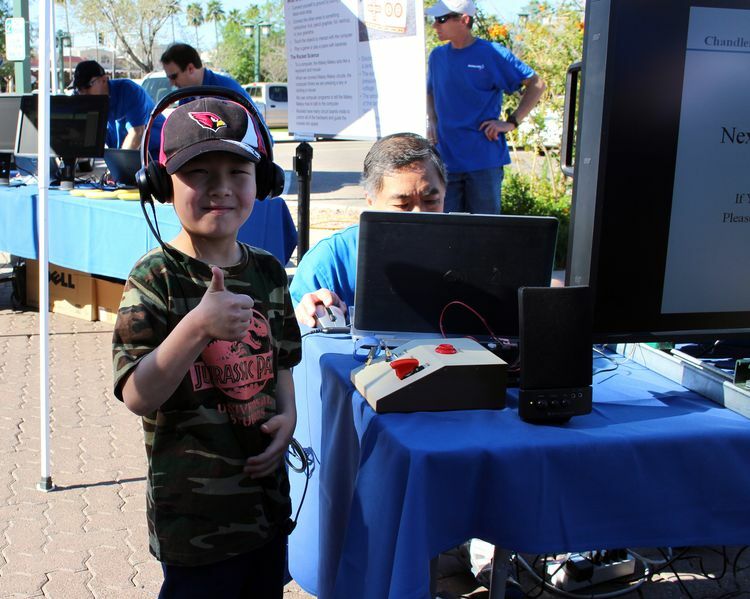 The event was hosted by the City of Chandler as part of the Arizona SciTech Festivals to encourage learning in STEM. 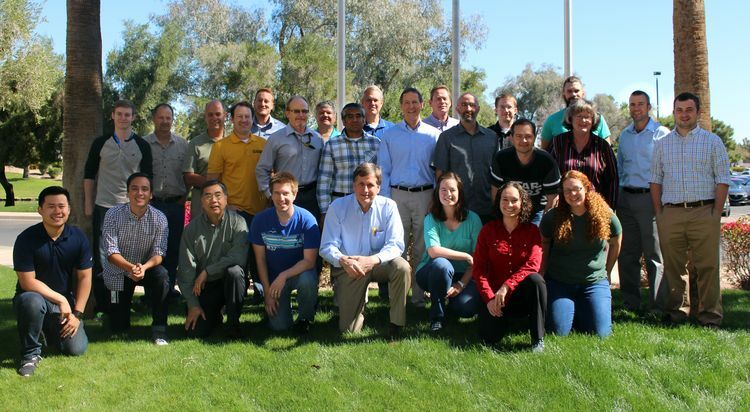 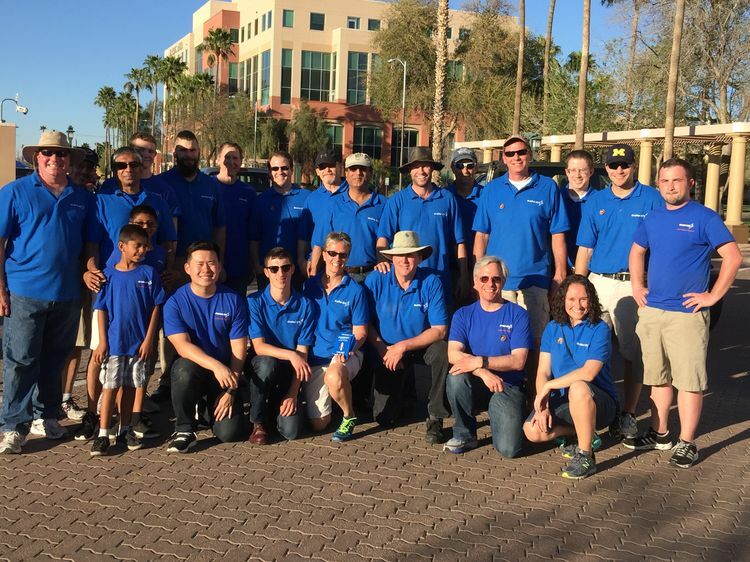 Some of the Orbital ATK employees who volunteered their time to inspire children in Science, Technology, Education and Math at the 2016 Chandler Science Spectacular in Arizona.